A backpack is probably the most practical. But how ugly, right? Also, this isn't America - people don't dress like they are going on a hiking trip in their day-to-day lives (you know what I mean, running shoes, cargo khakis, fleece... anything of the northface/l.l. bean variety). 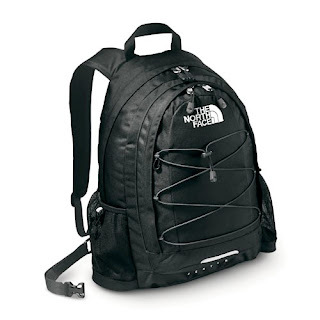 Hence the fact... as practical, durable, rain-proof, and easy on the back it may be - a backpack is just not acceptable. These are the requirements: it needs to fit my laptop, it needs to fit over my shoulder with a coat on (therefore - no short straps), and it needs to be somewhat impenetrable by water (this is England you know, and I don't need to have all my papers soggy). These requirements rule out a whole host of bags... including all of the ones I currently own: either too big, too small, too awkward with a laptop, too short of strap, easy access to thefts on the tube... etc... etc. It has a long strap, is water resistant, has a top zip, fits a laptop. It really ticks all the boxes. It also only costs 50 quid. The only problem is it looses seriously points on style and originality. I've already got two of these bags (sadly, in different sizes that don't work for this occasion). 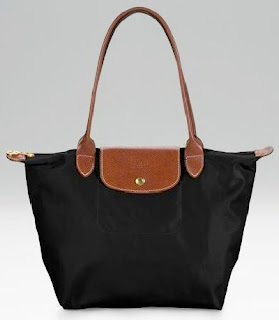 And, I've had one since I was 18... annnnd, seriously 1/5 girls of the university/school age has this bag. It's too overdone, and it's too widespread... and, it just feels wrong spending 50 quid on something I already have and don't even really want (regardless of how practical it may be or how much I love the ones I already have). So, the next logical place to look might be a satchel bag. They are practical - they go across your body - they really are the quintessential school bag. Satchel bags come in a whole host of varieties... there are a whole host of colours, styles and they range dramatically in price. For example, the little one pictured above retails at around 400 quid I think (but is on sale at Bicester Village if anyone is interested)... or you can pick a cloth one up for about a fiver. The sad thing is they can be quite masculine and are so 'school'-y. Besides, a certain significant other already has the best Mulberry one on offer (the Barnaby) so anyone I get is just going to pale in comparison - and we sort of already dress like twins enough as it is. Anyway. 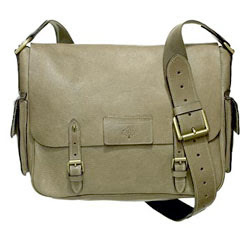 So that rules out the conventional leather satchel. I wasn't too sure about the fabric though. It was sort of patent leather and quite funky. But, apparently they are getting another delivery on Thursday and may, they just may, get it in other colours and in a more conventional leather.